Such findings are not all that surprising for people who interact with North Koreans frequently enough. Indeed, while the protruding belly, plump cheeks and rather bizarre haircut present a somewhat comical picture to Western audiences, a significant number of North Koreans feel much hope about the third incarnation of Kimhood, finding the young leader attractive and somewhat charismatic. It is often stated that one of the reasons behind Kim Jong Un’s popularity is his looks or, rather, his striking similarity to his grandfather, the late Generalissimo Kim Il Sung, who founded the North Korean state back in the 1940s. Indeed, the young Kim looks quite like his grandfather, and the North Korean propaganda apparatus goes out of its way to emphasize this. Kim Il Sung was in power from 1945 to 1994 – nearly five decades. His rule was remarkably brutal: the emphasis on a hyper-Stalinism at home and often adventurous, aggressive foreign policies brought terrible tidings for his people. Nonetheless, the late dictator was and still remains popular. To an extent, this reflects his genuine nationalistic credentials. The exploits of Kim Il Sung and his guerrillas in the 1930s were much exaggerated by later official propaganda. However, it is undeniable that the founder of the Kim dynasty once was a brave resistance fighter. The actual contribution he made toward the collapse of the Japanese Empire was pretty close to zero, but his heroic and seemingly doomed struggle in the wilderness of Manchuria made him widely known and respected amongst nationalist Koreans even before the liberation. It helps that Kim Il Sung was remarkably enthusiastic about promoting his own personality cult, which by the late 1960s reached a truly unprecedented level, leaving the notorious heights of Stalin and Mao in the long grass. Pretty much all North Koreans currently alive grew up on a heavy diet of stories about Kim Il Sung’s unparalleled wisdom, heroism and virtue. Expressing any doubt about such things was the quickest way to a rather painful death, so skeptics knew to remain silent. It did help Kim Il Sung’s standing in history that the famine that swept North Korea in the 1990s erupted after he died. The famine brought suffering and deprivation to the vast majority of North Koreans, and around 500,000 died. For the average North Korea over the last two decades, the times of Kim Il Sung have often been seen as a lost era of order and stability, in which everyone could be sure that twice a month they would receive food rations sufficient for survival, and essentially free of charge. This was also a time when corruption was kept under control and was largely invisible, material inequality was also almost unnoticeable. Objectively speaking, it was Kim Il Sung’s policies that made the disaster of the 1990s unavoidable. But this had little impact on public perception, and he continues to be held in high esteem by many. Remarkably, such sentiments toward the late Generalissimo are even expressed by refugees – not usually known for their sympathies for the North Korean system and its embodiment, the Kim family. 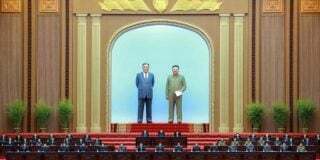 Thus, it is that Kim Il Sung remains venerated, and due to the luck of dying in time, has a remarkably good reputation in death. The opposite is very much the case with his unfortunate son, Kim Jong Il, who inherited power in 1994 and reigned for 17 turbulent years, till 2011. Of the Kim kings, Kim Jong Il was probably the softest and most liberal in many regards. His reign was marked by unnoticed and unappreciated relaxations of social controls. For example, it was Kim Jong Il who significantly decreased the number of political prisoners as a percentage of the population. Under Kim Jong Il’s watch, the political prisoners’ number declined from nearly 200,000 when his father died to a still massive but much smaller 80-90,000. He also chose to turn a blind eye to cross-border traffic, thus allowing a burgeoning trade with China to grow more rapidly. He did not implement agricultural reforms, which he probably saw as destabilizing, but for much of his rule he looked upon the emerging market economy as a necessary evil that could be tolerated for the time being. He also chose not to punish excessively refugees found in China. Attempted escape to China became a misdemeanor, when it was once a serious crime. 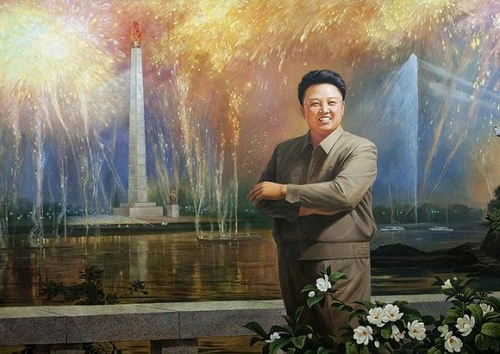 However, for all this liberalization, Kim Jong Il did not become popular with his people. Kim Jong Il was seen as the source of all the mess. Under his watch, the stability and security of Kim Il Sung’s era suddenly disappeared, as people began to starve to death in large numbers. Hence, for the average man and woman from the North Korean street, he was the person who directly or indirectly was responsible for disaster and dislocation. No one really knows what Kim Jong Un thinks about his father, with whom he probably spent relatively little time. 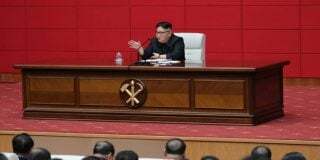 However, it seems that the current North Korean sovereign finds it politically useful and astute to quietly distance himself from his paternal predecessor, who still remains officially venerated. When Kim Il Sung died, Kim Jong Il maintained a three-year mourning period that only ended in 1997, whereupon he officially took over supreme power in the state. Kim Jong Un, by contrast, only waited a few months before he anointed himself as the ruler of the country. Obviously, this was done to send a signal to his subjects, to make it clear that from now on, everything would be done differently, so perhaps the golden age of Kim Il Sung would return. In reality, however, Kim Jong Un is quite different from his grandfather when it comes to policy. He is bandwagoning quite effectively on the grandfather Kim, but the first few years of Kim Jong Un’s rule have been marked by an exponential growth in the unofficial economy. 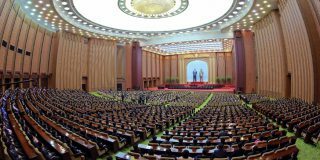 The authorities have stopped interfering with many illegal and semi-legal private businesses that now flourish in North Korea. 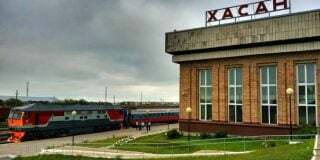 This change of direction, combined with earnings from mineral exports to China and beyond, not to mention the active sale of North Korean labour power overseas, has resulted in a noticeable economic recovery. In actual fact, this recovery began under Kim Jong Il’s stewardship, but for the average person, it is closely associated with his son, and hence is seen as a sign of his leadership talents. But what of state-sponsored terror, the much rumoured, alleged executions conducted under Kim Jong Un with remarkable frequency? Surprising though it may be, the average North Korean is not that worried about such things: under Kim Jong Un, purges nearly always target the elite, largely the military top brass and high level apparatchiks. The average person in North Korea does not feel all that sorry about the fate of these people, and sometimes even feels some relief when learning about the violent demise of yet another party secretary and four-star general. On the other hand, the chances of getting arrested for a real or alleged political crime has not changed much compared to what it was 5-10 years ago. How long with Kim Jong Un’s honeymoon last? Well, we cannot be sure. World history provides us with countless cases of political leaders loved first, before becoming the object of popular contempt and/or derision. 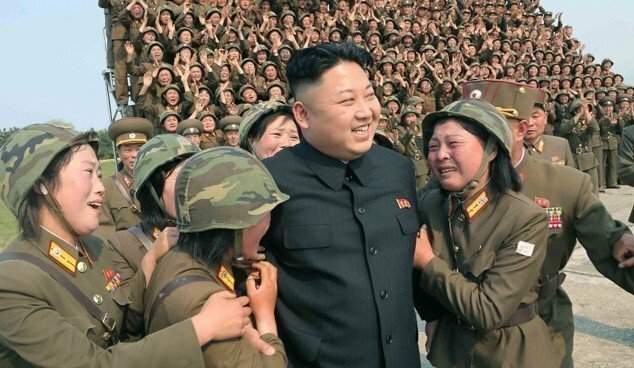 Nonetheless, for the time being, one should admit: Right now, the Supreme Leader is popular with his people. A survey of North Korean refugees attracted some attention several weeks ago. According to the survey, a full 63 percent of recently arrived refugees believed that Kim Jong Un enjoys support amongst a majority of the North Korean public. Such findings are not all that surprising for people who interact with North Koreans frequently enough. Subscribe to read the remaining 1503 words of this article.